If the client makes any changes to the optimized pages created by Digitalguider, or does not implement the changes advised by us, any guarantee placed will become void immediately. Give Digitalguider FTP and other back-end admin access to the web site to make changes to the site for the purpose of on-page optimisation. 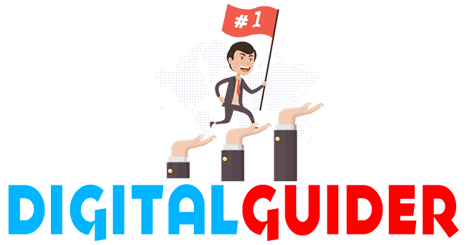 Client authorizes Digitalguider use of all client’s logos, trademarks, Web site images, content etc., for use in creating articles and any other uses as deemed necessary by Digitalguider for search engine optimisation. If Client’s site is lacking in textual content, Client will provide additional text content in electronic format for the purpose of creating additional or richer web pages. Digitalguider can create site content at additional cost to the Client. If Client is interested in purchasing content from Digitalguider, it can be provided at additional cost. At any time during or subsequent to contract period, client agrees to keep in strictest confidence and trust all of the Digitalguider confidential information to which the client has access. The client will not use or disclose the Digitalguider confidential information without the written consent of Digitalguider. Client agrees not to attack/criticize Digitalguider or any of its employees, associate’s or partner’s publicly (on public forums, blogs, social networks etc) at any time during or subsequent to contract period. Similarly, client agrees not to seek for SEO advice on SEO forums, blogs, community groups or any social media in a way which brings bad name to the company or any of its employee’s, associate’s or partners. In case of breach of non-disclosure agreement, client agrees to pay Digitalguider a reasonable cost for damages. While Digitalguider maintains copyright protection in all materials, information and publications (collectively, "Web site information") it places on this Web site, Digitalguider consents to normal downloading, copying and distribution of the information for non-commercial purposes by you or within your organization only. In consideration of this consent, you agree that copies of the Web site information will retain all copyright and other proprietary notices and that you will not modify the Web site information in any way. Except where your use constitutes "fair use" under copyright law, you may not otherwise use, download, upload, copy, print, display, perform, reproduce, publish, or distribute any Web site information, in whole or in part, without the prior written consent of Digitalguider.